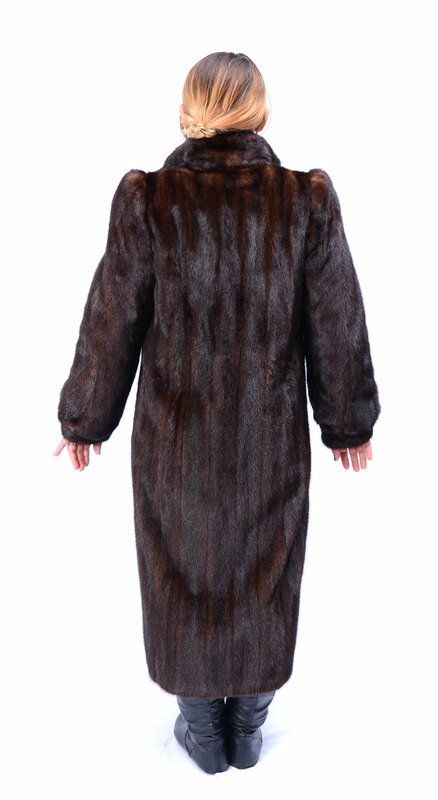 FULL LENGTH MAHOGANY MINK COAT: Gorgeous full length coat with beautiful paisley stain lining has 3 hook and eye closures plus one at the collar/neckline. Cuffed sleeves and 2 front slit pockets. Has been kept in cold storage so is in very good condition. Approx size 8.